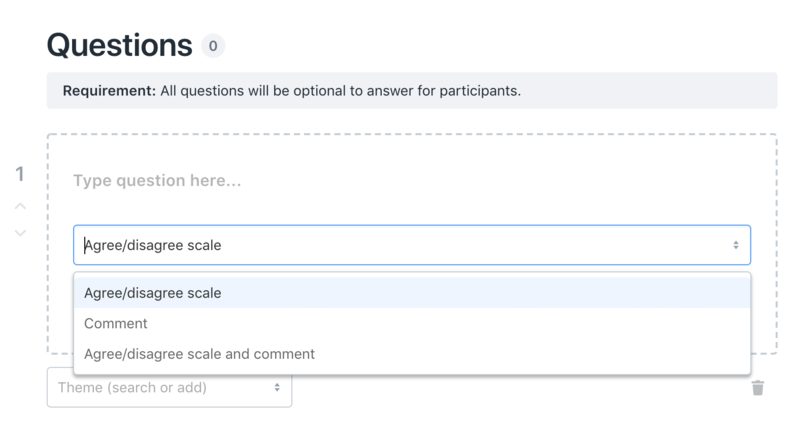 If you are running a survey in Lattice, you may want to create your own questions that are more specific to your own company. Questions are created during the survey creation flow. Step 1: When creating your Lattice Survey, in the Questions part of the set up flow, click "Add Question"
Step 2: Select the type of question you would like to create. Please note: If using the agree/disagree scale, in order to properly measure employee responses, your questions should be phrased as a positive statement. Step 4: Add a them to your question and it will automatically be added to your survey.